How do I swap a print in Print Club? 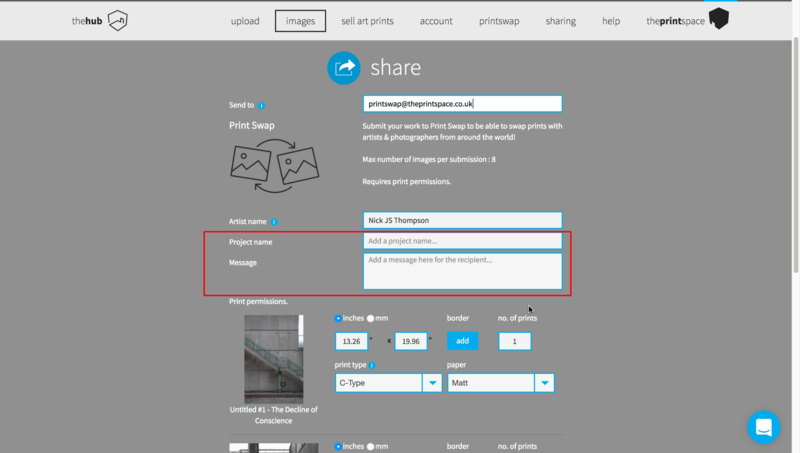 Find out how to submit and start swapping with Print Club in a step by step guide. Login to your hub account, or sign up here (It’s free!). 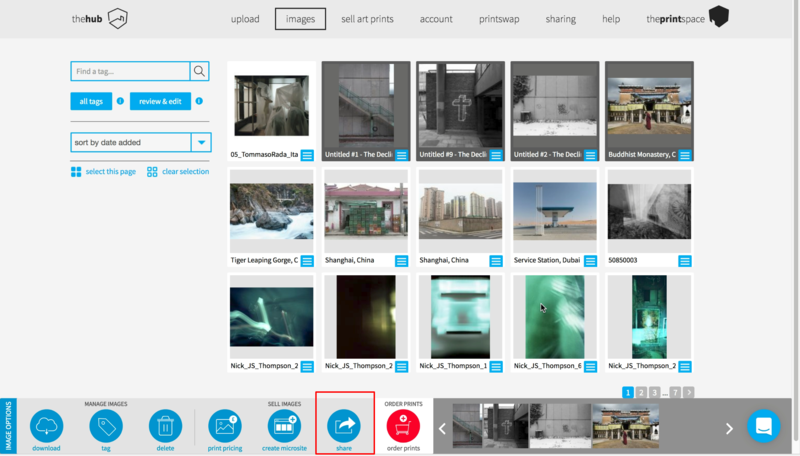 Upload some images, or select a previously uploaded image by navigating to the ‘images’ tab. Set the image title by clicking the hamburger menu on the image(s) selected. 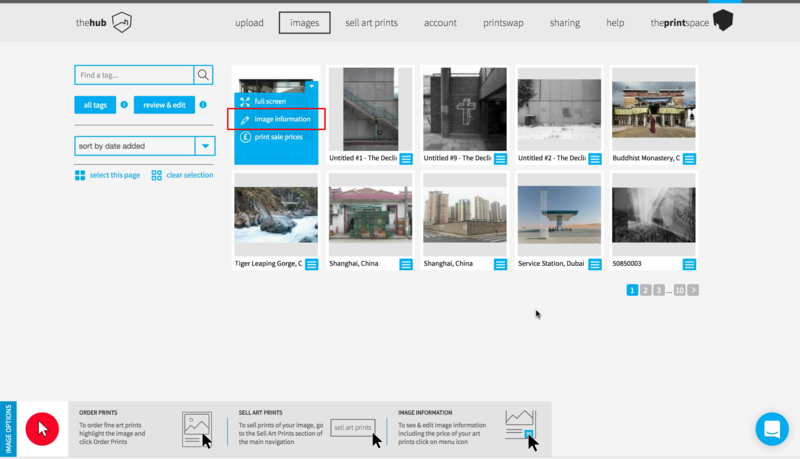 Select ‘image information’ and fill in the ‘image title’ box. Click save. 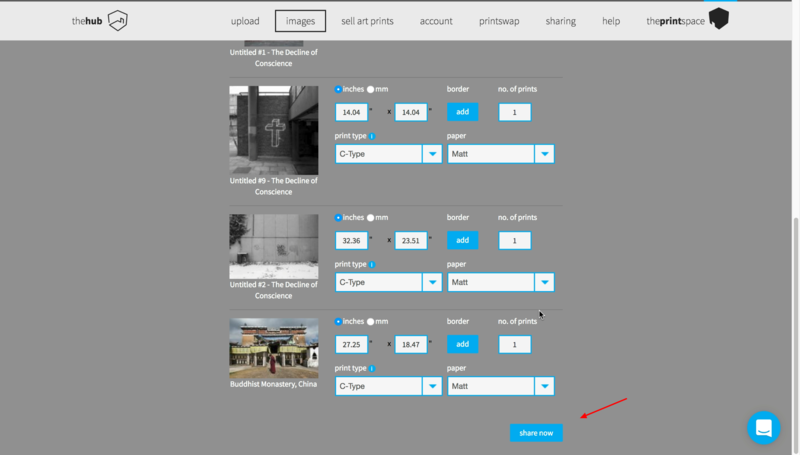 Select your images by clicking on each one and click ‘Share’ at the bottom of the page. 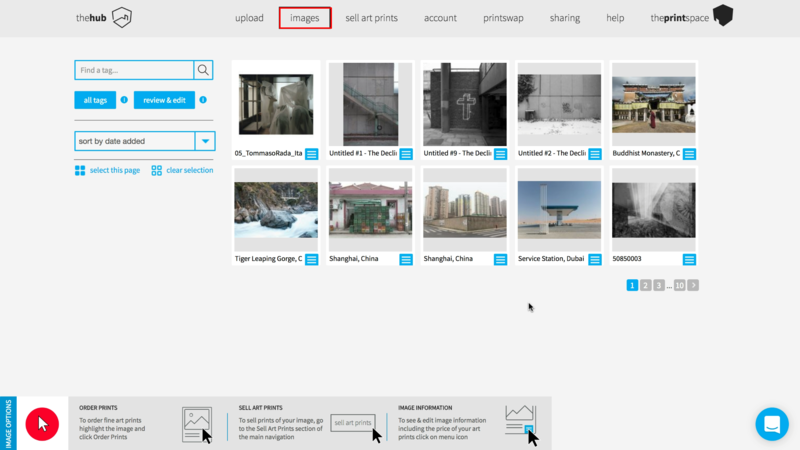 In the send to box, enter ‘printswap@theprintspace.co.uk’ and press enter. 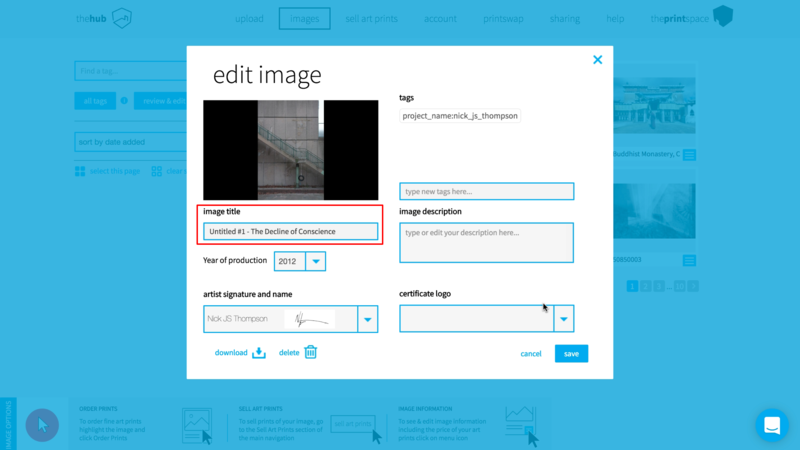 Add your project description to the corresponding field. 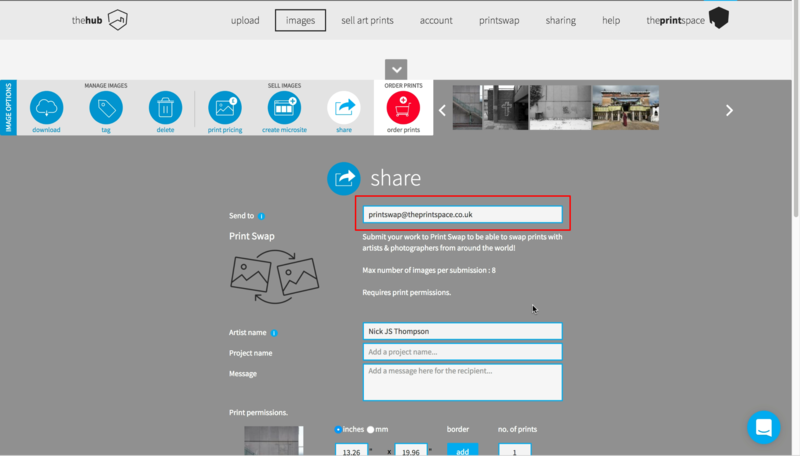 Fill in the ‘print permissions’ section by setting the print size that you would like to offer swappers, add an optional border and your preferred paper type. We will now have your submission and will assess it for suitability for the feed. 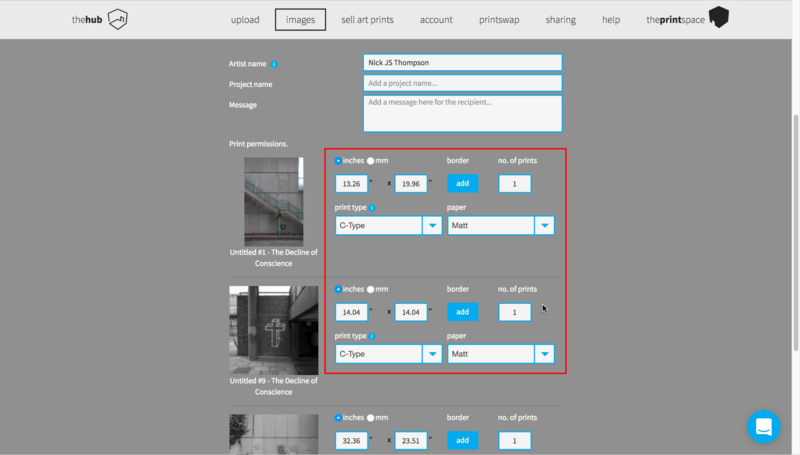 You will receive an email to notify you if your print has been accepted to print swap (For criteria, click here). This process usually takes 2-3 days.